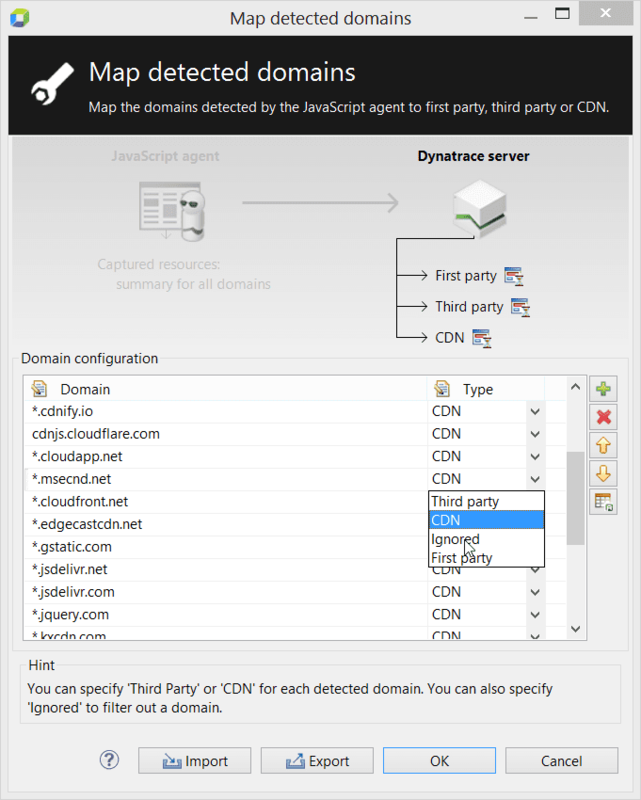 Specify First Party, Third Party or CDN for each configured domain. You can also specify Ignored to filter out a domain. 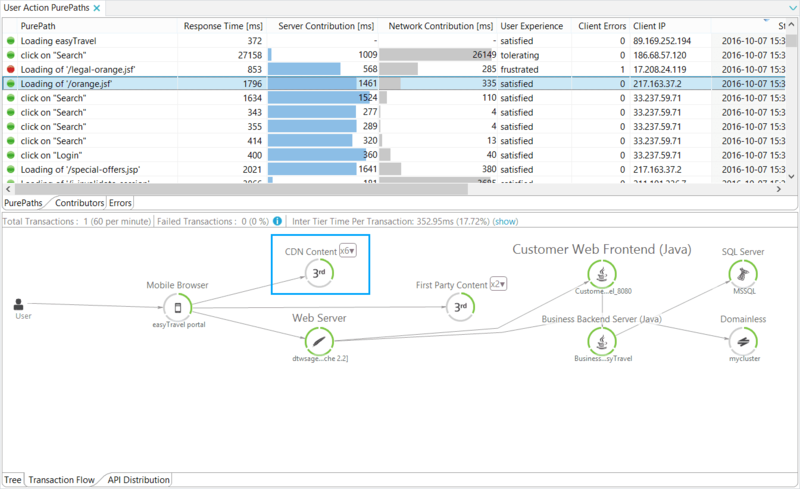 Domain mapping impacts several dashlets, measures, business transactions and resource capturing for UEM related metrics. You can verify domain mapping configuration in the User Actions PurePath View. 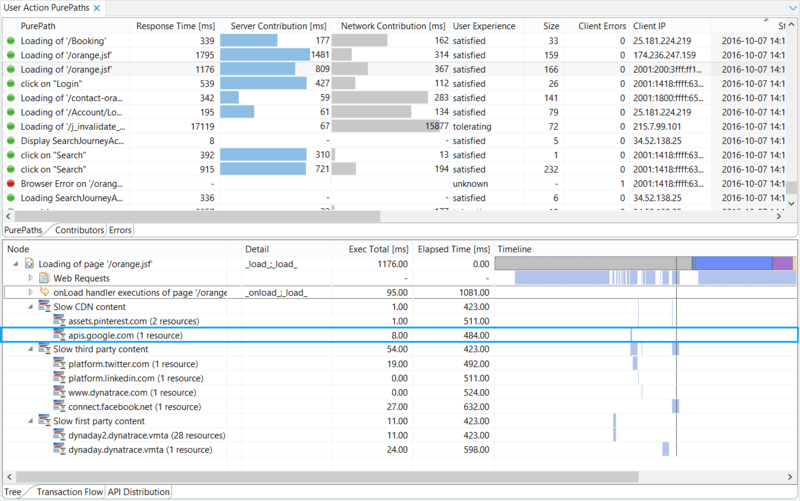 If a domain is mapped to CDN, it appears below the Slow CDN content node. A domain to Ignored is filtered from the table and does not appear in the Slow third party content node unless you change the Client to debug mode by pressing Ctrl + Shift + F9. The following shows an example. Host: String match that can filter for specific hosts or content providers, such as a set of several domains. You can select several string search types, including regular expressions. 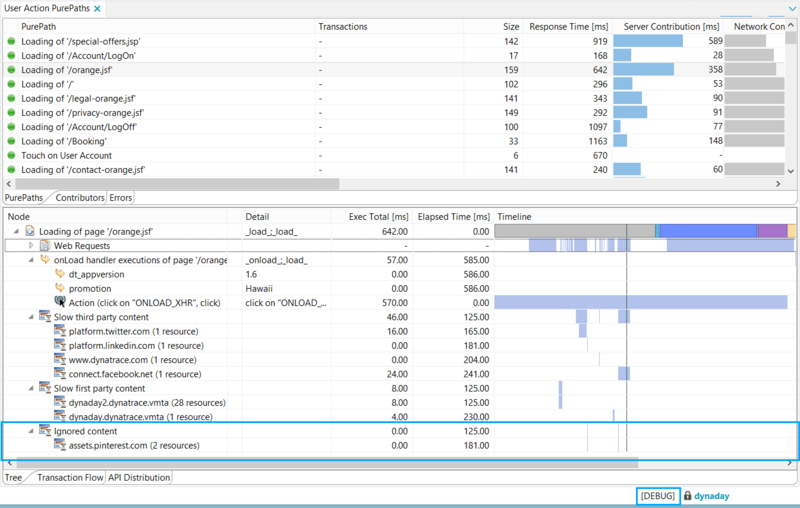 Duration type: Several types of load times are available. Busy time: Time when at least one resource was loading. Average duration: average duration of all resources. Shortest duration: duration of fastest resource. Longest duration: duration of slowest resource. Host: Can be used for filtering for specific hosts. This measure counts the slowest host of a user action when exceeding the configured threshold.